“I’m a real humble person,” a line Dee Sturgeon knows all too well. She has been a volunteer for more than 25 years as an events coordinator for American Cancer Society’s Relay for Life event, and has been a coach for Special Olympics Iowa for more than 30 years. Sturgeon doesn’t do it for the recognition though. She does it to inspire others. And that she did. Sturgeon is also an instructional assistant for students with special needs, in addition to her volunteer work. She says her classroom kids were motivated by her work. For their middle school Spread the Word to End the Word® campaign, they offered to help. Some of the kids volunteered to make PSAs to inform the media about the event; others wrote speeches to share — all of which, Sturgeon says, were attributed to her volunteerism. 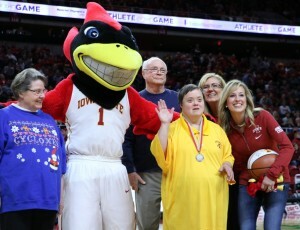 Tabitha Darnell was named an outstanding Olympic Athlete of the Year in 2008, was named a Big 12 Special Olympian of the Year in 2009, and has received many ribbons and medals since she started participating in the Special Olympics at age eight. 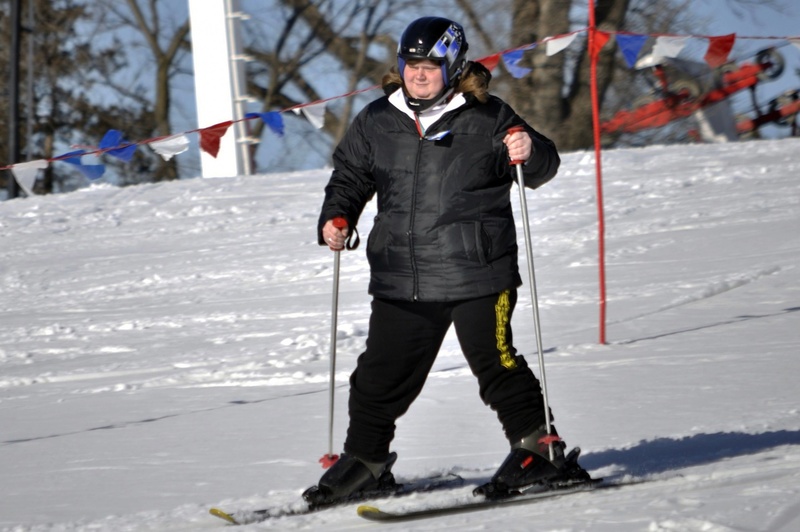 Now, she’s 36 years old, and she’s headed to the World Winter Games in Austria. Sign Up for the Annual SOIA Youth Games TODAY! On Saturday, April 22, young athletes are invited to participate in the annual SOIA Youth Games at the University of Iowa in Iowa City. The event will be held from 10 a.m. to 1 p.m. with participant registration starting at 9:30 a.m. that day. All events will be held in the University of Iowa’s Hawkeye Recreation Fields. Youth Games are free of cost and each athlete will receive lunch at the event and a T-shirt. Please note that the team bocce allocations for the 2017 Summer Games have been filled. Athletes may still sign up for singles bocce competition on Friday, May 26 at the state games. All entries are due by April 1. For questions about bocce competition, please contact Sally Briggs at sbriggs@soiowa.org or 515-986-5520.